In South Africa there are over 7 million people who are living with HIV/AIDS, with the number of infections increasing daily, it is no secret that South Africa has the biggest and most high profile HIV epidemic in the world. Statistics as alarming as this has sparked a new urgency to combat this disease, the most popular way, through awareness. Dorian Basson has been a trailblazer in getting South Africans to understand the reality of this disease and breaking down the misconceptions concerning those who live with HIV, through the Red Ribbon Foundation. The Red Ribbon Foundation was founded in 2011 and aims to provide a platform for individuals to become aware and equipped surrounding the reality of HIV/Aids holistically. 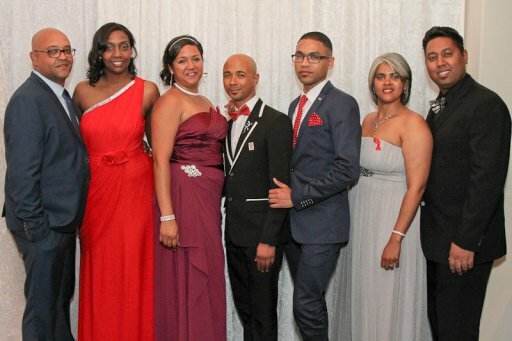 Since its founding, the Red Ribbon foundation has been committed to educating individuals and communities, particularly in Cape Town, to uphold common human values and eradicate the stigma, by going out in communities and getting involved with the HIV/AIDS infected and affected individuals. Furthermore, the foundation provides these individuals with a platform to tell their stories. Being catalysts for change, the foundation has proved to be remarkably successful in acting on its vision and purpose. This year will mark the 5th year that Dorian Basson has been raising funds to sustain three homes, around Cape Town namely The Missionary Sisters of Charity in Khayelitsha, Lizo Nobanda Day Care for HIV/AIDS infected children in Vredehoek and the RRF Scottsville Outreach Program. These homes focus on caring for people and orphans who are infected with HIV/AIDS. The Red Ribbon foundation has relied on enlisted monetary donations as well as food and donated clothing items to keep the torch burning and the organization afloat. Throughout the year, it has hosted various events, which were highly successful and of great impact to their ongoing projects. As the year draws to a close, the foundation will have its third annual Red Ribbon Foundation Ball on Saturday the 10th December 2016, at Kaleidoscope in Claremont. The Ball should definitely be on top of every social calendar, as the evening does not only promise to be loads of fun but filled with upliftment, encouragement and gives you and I an opportunity to pay it forward, in a life-changing way. Celebrities such as Irma G, Anton David Japhta, Soli Philander and many others have pledged their support to the cause, and on the 10 December, we will have an opportunity to do the same and of course, to dust off those suits and ball gowns we’ve been sparring for that extra-special occasion! For more information on The Red Ribbon Foundation follow them on Twitter and Facebook.